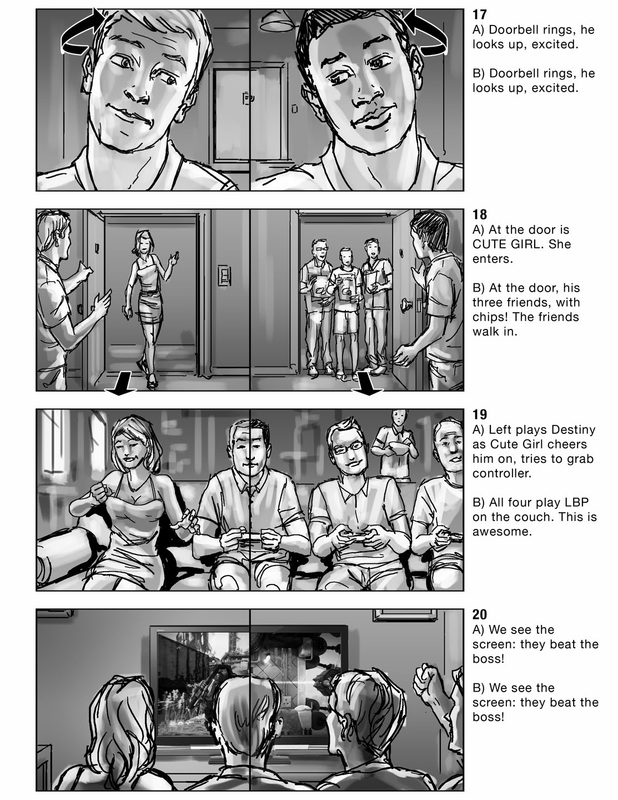 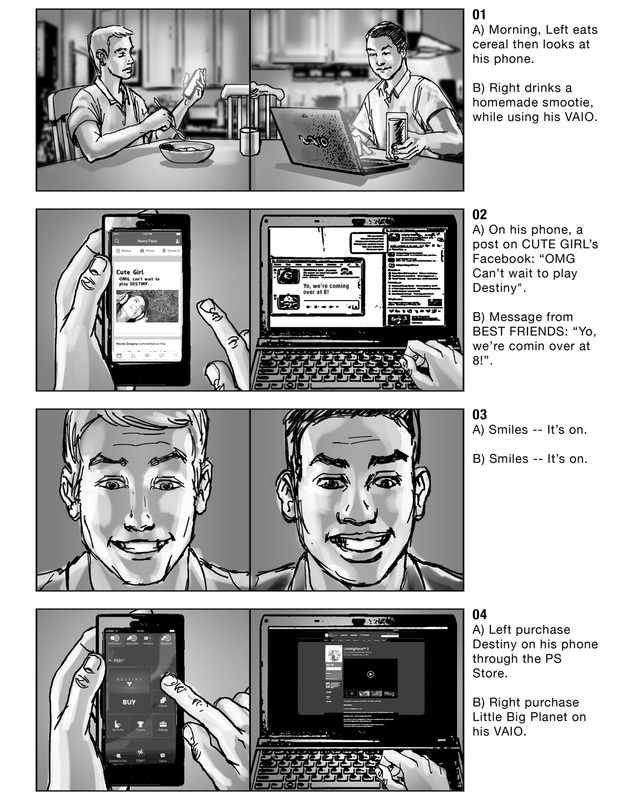 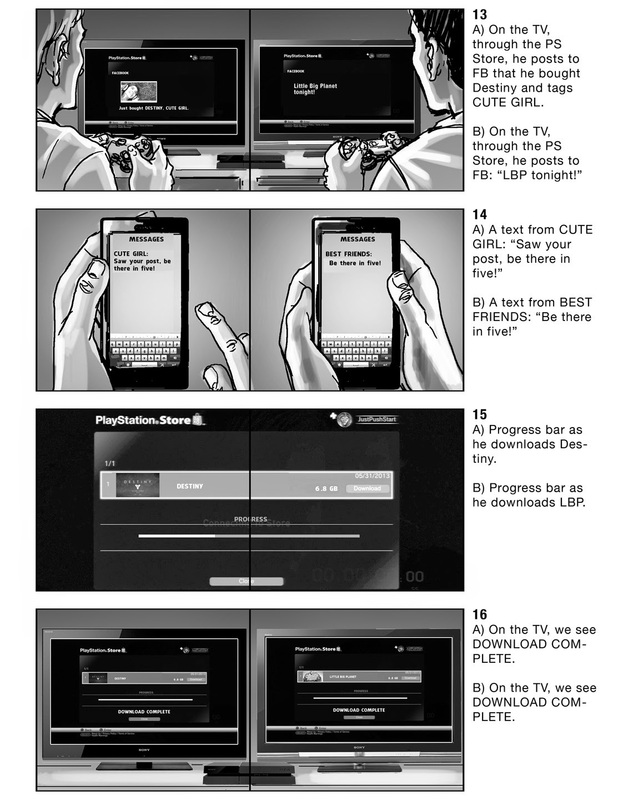 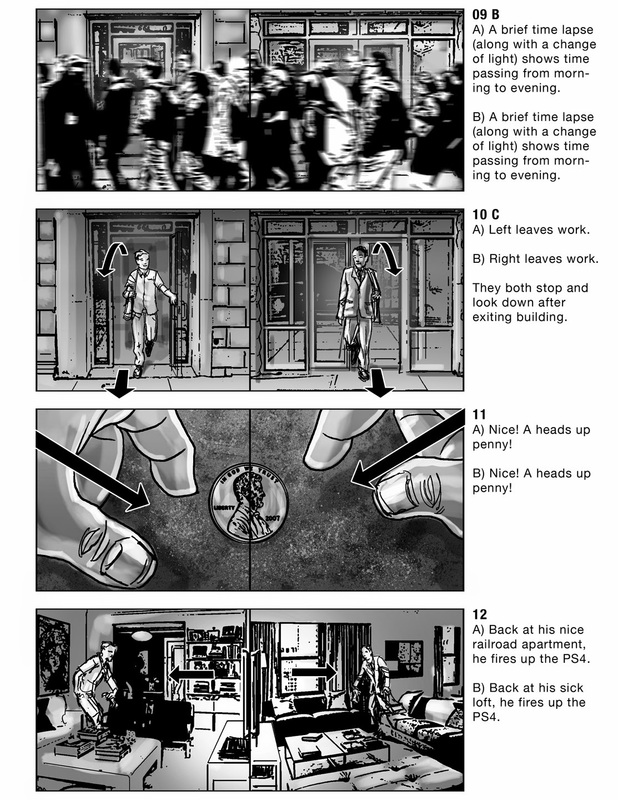 Below are some storyboards I did for VOX Media showcasing a commercial about the Sony Playstation store. 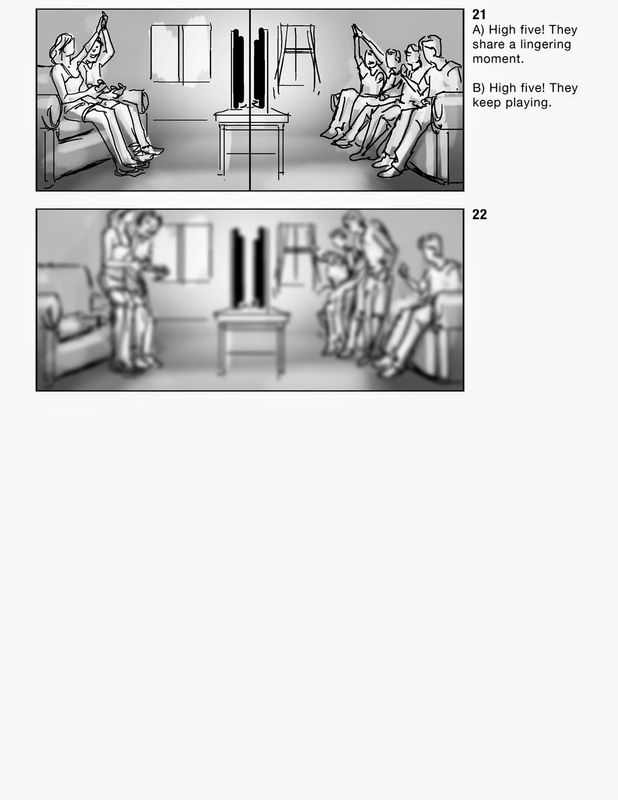 This has a split shot effect throughout, showing two different personalities utilizing the Sony Entertainment Network store. 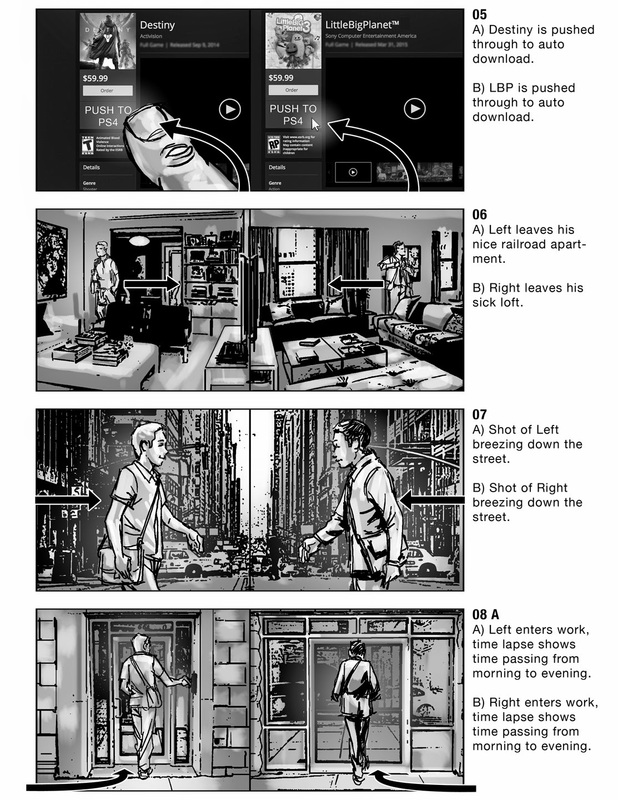 These were done in Adobe Photoshop.